Maine's new senator-elect has a lot on his plate these days: forming alliances, jockeying for committee assignments, breaking down partisan gridlock in Washington. Maine’s new senator-elect has a lot on his plate these days: forming alliances, jockeying for committee assignments, breaking down partisan gridlock in Washington. 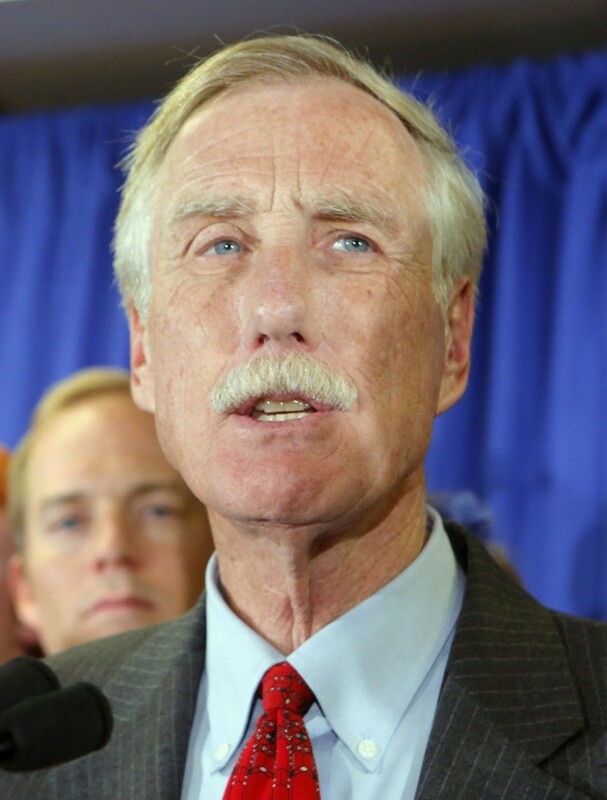 But one of Angus King’s first priorities is to put together a staff — fast. King has until Jan. 2 to form his team, which ultimately could include more than 40 people in Washington and Maine. He is scheduled to be sworn in Jan. 3. Already, resumes are flowing in and King’s inner circle is taking shape. But neither King nor his campaign staff is talking publicly about who will or won’t be going to Washington, said Crystal Canney, his communications director. Kay Rand, who managed King’s campaigns for governor and U.S. Senate and was his chief of staff in the governor’s office, is sure to play a big role. Rand, a former lobbyist and member of Republican Gov. John McKernan’s administration, is widely expected to go to Washington. Rand is a co-director of King’s transition. The other is Thomas Herman, the brother of Mary Herman, King’s wife. He is a Boston-based, Harvard- and Oxford-educated corporate and international lawyer who has been deputy commissioner of the Massachusetts Department of Revenue and deputy national issues director for Michael Dukakis’s 1988 presidential campaign. Rand and Herman are the ones sifting the resumes and — along with King — doing the hiring. King knows something about Senate staffs. He was a staffer for Sen. Bill Hathaway, D-Maine, in the 1970s. Along with Rand, other top directors of the campaign that led to King’s election Tuesday could be in line for posts in Washington or Maine. They include Canney, Deputy Campaign Manager Sue Bell, Policy Director Marge Kilkelly, Field Director Edie Smith and Finance Director Justin Schair. Alan Caron, a policy analyst and King supporter from Freeport, is now doing some transition work for King, according to Canney. The staff ultimately will include a team of policy advisors with specialities in energy, health care and education; a press secretary and communications team; and a constituency services team to respond to questions, requests and feedback from Mainers. Snowe, who will leave the Senate at the end of the year, had a staff as large as 25 in Washington, plus 14 additional staffers because she was the ranking Republican on the Small Business Committee. She also had 18 staffers in her six district offices in Maine. Snowe’s staff is now a little smaller, as people have left and not been replaced. It’s not unusual for congressional staffers to go to work for other members of the same party, but it’s less common for them to take jobs across the aisle. As an independent, King may have an advantage by being able to pull from Snowe’s staff and hire experienced Democratic aides. Dennis Bailey, who was King’s communications director in the governor’s office, said he went to Washington to work for Democratic Rep. Tom Andrews of Maine in 1990 and there was a flood of resumes. “There will be more people wanting a job than (King) has room for,” Bailey said. King’s campaign had many young staffers and volunteers, and “I’m sure a lot of them will be bucking for a job,” Bailey said. He said he expects Rand and other top staffers to go to Washington, but King will also need people who know the ropes in the Senate.